Egmond aan Zee is the ideal spot for bicycle vacations. If you can’t bring your own bike, BikeMike is there to rent you a bike with nice and a friendly service with pleasing prices. We know the impressive surroundings en we think it is important you are able to get to know it on a comfortable and healthy way. Discover the endless dunes, the quit woods and the colorful bulb fields. Of course, you can also ride your bike on a special route right next to the sights, highlights and activities Egmond aan Zee and its surroundings have to offer. After the bike ride you can relax on one of the many terraces to continue enjoying your day. 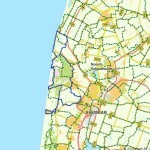 We offer various bicycle routes which you can use for your discovery through Egmond aan Zee and its surroundings. These routes are available in many distances, this way everybody can enjoy these beautiful routes. Enjoy a ride to Bergen aan Zee, the hospitable village Castricum or the always cosy town Heiloo. Do you like versatility? Then the picturesque village Bergen is an ideal option. You can shop in the many clothing stores, enjoy the atmospheric terraces or visit the ruin church or one of the galleries. From May to September you can pay a visit to the popular cheese market in Alkmaar every Friday. This is very easy to reach on a bicycle. The possibilities are limitless! As a customizable bike rental we would like you to give more tips and advice for your bike ride. Want to plan your own bike ride? If you can’t or you don’t want to ride your bike to far you can bike in the near surroundings which are easy and comfortable to reach. Egmond aan Zee has a lot to offer. Besides the dunes, the woods, the beach and the sea you can also see the various beautiful sights, like De Wimmenumermolen, De Bikkerij, de Slotkapel or the stunning lighthouse. As a bike rental we think it is important that you enjoy the surroundings, your stay in Egmond aan Zee and of course biking. At BikeMike you can not expect anything else then service of high quality. We are the ideal bike rental if you want to discover Egmond aan Zee and its breathtaking surroundings by bike.